I’ve been hearing about Obama’s latest dumb gaffe, all day, and was going to let it go – because he sort of caught himself, and tried to correct it with “Embassy of the UK”, (which was also wrong.) I mean, we all misspeak at times, right? A frenzied mob of militant Iranian students ransacked the main embassy in Tehran and a smaller diplomatic compound in the city. They lobbed petrol bombs, stole classified documents, torched the Union flag and even tore up a portrait of the Queen. The rioters also chanted ‘Death to England’ and threw rocks. One man held up a Union flag with a skull and cross bones on it. By calling it the ’embassy of the United Kingdom’, he got it wrong a second time. It appears there has never been an English Embassy, although there have been English ambassadors centuries ago. Back in 1479, John Shirwood became the first permanent English ambassador when he took up residence in Rome. Nile Gardiner, a blogger on The Foundry who led the criticism, said: ‘In case the President is unaware, England forms part of Great Britain, which also includes Scotland and Wales, though not Northern Ireland, which is part of the United Kingdom. ‘One can only imagine the kind of howls of derision that would greet any presidential contender if that kind of basic error were made before, say, the editorial board of the Milwaukee Journal Sentinel. Obama’s statement that “that kind of behavior is not acceptable” is similar to the Iranian Foreign Ministry’s language which also called the incursions “unacceptable”. Interesting, considering it’s generally understood that the storming of the British embassy was done under the nose of the Iranian security apparatus so it must have been tacitly sanctioned, at least by some of the country’s leadership. So his statement “urging the Iranian government to hold those accountable to task” is kinda absurd. In a letter to Attorney-General Eric Holder yesterday, Congressman Darrell Issa and Senator Charles Grassley asked for information on media leaks that were aimed at discrediting the testimony of a key ATF whistleblower–Agent John Dodson. The leak violates the Privacy Act which protects the personal information employers gather on employees, and points to more chicanery on the part of ATF management in retaliating against agents who went public with the agency’s illegal activity. According to the letter, an employee of the DOJ was forced to resign due to the leak. Issa and Grassley are requesting information on that employee and if other employees had access to a shared computer drive that may have led to the leaked information. In addition, Dodson allegedly has already been the recipient of retaliatory action earlier this year. Back in July St. Louis Gun Rights Examiner Kurt Hofmann provided evidence that Dodson was the victim of a smear campaign by his superiors. And then there is this report submitted by this writer on October 25 indicating a widespread, orchestrated program of retaliation against whistleblowers implemented by ATF supervisors. One agent’s family was placed in lethal danger when his house was set on fire in the middle of the night while his wife and children slept inside. Supervisors had good reason to believe that Hell’s Angels had set the fire in response to the agent’s undercover work that resulted in several arrests. But ATF management never investigated the fire, nor did they do anything about numerous threats the agent received from Hell’s Angels. Chairman of the House Oversight Committee Darrell Issa, introduced new legislation a few weeks ago to reinforce provisions of the 1989 Whistleblower Protection Act. The reinforcement, known at the Whistleblower Protection Enhancement Act, is badly needed in light of Fast and Furious as retaliation against whistleblowers exposing corruption within the Bureau of Alcohol, Tobacco, Firearms and Explosives (ATF falls under the jurisdiction of the Justice Department) runs rampant.The legislation is bipartisan and is co-sponsored by Ranking Member of the House Oversight Committee Elijah Cummings. Issa sent a letter to ATF Deputy Director William Hoover in June warning whistleblowers should not be retaliated against for exposing mismanagement and unscrupulous behavior within the agency or within the Department of Justice. I write to request your assurance that the Bureau of Alcohol, Tobacco, Firearms, and Explosives (ATF) will not retaliate against witnesses who have provided information to this Committee. I make this request in light of the fact that on June 15, 2011, in a hearing before the Committee entitled “operation Fast and Furious: Reckless Decisions, Tragic Outcomes,” three veteran ATF special agents gave testimony highly critical of the ATF. They should not face reprisals of any kind for their testimony. No other ATF employees who cooperate with Congress should face retaliation either. The Committee relies on whistleblowers to conduct unvarnished and thorough oversight. Witnesses who choose to cooperate with the Committee must be confident that they can provide information without fear of punishment. You can read about the Jay Dobyns’ case, possibly the worst case of ATF whistleblower retaliation, here. Also, you can read about retaliation against Fast and Furious whistleblower Vince Cefalu here. Six months ago, several agents with the Bureau of Alcohol, Tobacco, Firearms and Explosives stood before Congress to testify about the details of a U.S. government program that armed Mexico’s largest drug cartel with thousands of assault rifles. The administration denied it at the time and questioned the agents’ integrity. The men were nervous and scared. They said they feared for their careers, their reputation and their families. “Any attempt to retaliate against them for their testimony today would be unfair, unwise and unlawful,” Sen. Charles Grassley, R-Iowa, warned the Department of Justice. He and Rep. Darrell Issa, R-Calif., began an investigation to determine who authorized “Operation Fast and Furious” and aimed to hold accountable those responsible for a plan that helped known criminals run guns across the border in violation of U.S. and international law. And while President Obama has said the operation was a mistake and that “people who screwed up will be held accountable,” the record so far does not bear that out. Those in charge of the botched operation have been reassigned or promoted, their pensions intact. They knew exactly what they were doing – and they should not only be fired – but be indicted for the murders their gunwalking policies facilitated. But many of those who blew the whistle face isolation, retaliation and transfer. Dodson continued to challenge Voth, saying the operation was killing people in Mexico and suggested it was only a matter of time before a “border agent or sheriff’s deputy” would be killed by one of the guns they let go. “If you’re going to make an omelet, you’ve got to scramble some eggs,” Voth replied, according to a congressional report. And what did Dodson get for telling the truth? In Phoenix he was isolated, marginalized and referred to as a “nut job,” “wing-nut” and “disgruntled,” according to sources. Un. be. lievable. In Holder’s ATF, you’re a right-wing nut job if you think handing over thousands of guns to Mexican drug lords to kill people with is a bad idea. There are not words in the dictionary strong enough to convey the scorn I have for lying, commie, rats like Newell et al. Linked by Michelle Malkin in Buzzworthy, and Doug Ross, thanks! The poll was conducted on the 27th, a day before Cain’s latest bimbo erupted. 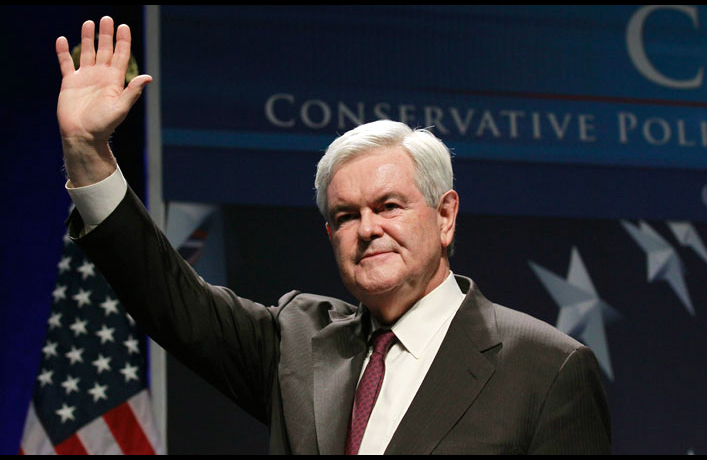 Under the first scenario, Newt Gingrich thrives. He laps up Cain’s supporters, who favor him overwhelmingly and distrust Romney to an incredible degree. Caveat that it’s PPP, but these numbers are jarring. http://vlt.tc/tw Gingrich’s favorability is 73/21; Romney’s is 33/55. Overall, “Gingrich’s net favorability is 73 points better with Cain supporters than Romney’s.” This is borne out by just about every other poll out there. http://vlt.tc/u2 And Erick Erickson was asking his Atlanta area Cain-backing listeners and found that three out of four shifting to Gingrich. This could, as Matt Lewis notes, be a huge factor in coalescing anti-Romney support. http://vlt.tc/tx Has anyone else noticed that Romney’s numbers have steadily dropped this month? http://vlt.tc/ty He’s actually averaging closer to 20% now than 25 – the last poll to have him at 25 was in the first week of November. Newt’s moving into a stronger position in New Hampshire now, unlike the other candidates who haven’t taken hold there. http://vlt.tc/ud He’s approaching 40 percent in South Carolina. http://vlt.tc/v0 Romney’s inner circle knows this is dangerous, and it’s why they’re investing so heavily in Iowa now. http://vlt.tc/uc Rather than building a coalition, he’s looking more and more like a candidate with a very firm ceiling, and that means he needs an early knockout blow. Exactly what happened in my case. Read the rest of his post at The Transom. Like I said – spot on. (The Hill) — Rep. Allen West (R-Fla.) said Wednesday he would advise Herman Cain to let voters “move on” from the distraction of his campaign. Cain told his campaign this week it is time to “reassess” in light of the resurfacing of old sexual harassment allegations and new accusations this week that he carried on a 13-year affair. Donald Trump is ticked off! Just saw this video on Greta Van Susteren of Trump railing against Obama for planning to have his fundraiser near Rockefeller Center on the same night as the big Christmas Tree lighting. As the 2 p.m. shows let out, theatre-goers will join thousands of tree-goers at Rockefeller Center. Fifth and Sixth Aves., 48th to 51st Sts.,will close as early as 4 p.m. and remain closed past 11 p.m. Several local and express buses will be detoured. Take the 1 train to 50th St. or the N, R to 49th St.
n Stop 1: 6 p.m. to 7:30 p.m. – upper East Side residence. Freezes on Park/Madison/Fifth Aves., 59th to 79th Sts. in addition to FDR in above paragraph. n Stop 3: 9 p.m. to 10:30 p.m. – Heads to Sheraton Hotel, Seventh Ave. and 52nd St. Sixth/Seventh Aves. frozen up to 59th St.
n 10:30 p.m. to 11 p.m.: President Obama heads back to Wall St. Heliport for the chopper to JFK. FDR frozen below 63rd St. along with all avenues east of Seventh. The all-clear won’t be till after 11 p.m. With many buses delayed and detoured while the President motorcades all over Manhattan, the subway will be your best option. I’m also expecting some Occupy Wall Street protesters to hit at least one of the fundraisers. I’ll be tweeting regularly at http://www.twitter.com/GridlockSam. Sheriff Babeu still outraged over the senseless murder of Border Patrol Agent Brian Terry, who he notes, served on the border with his brother, blasted Attorney General Holder and President Obama in an interview with NRA News, yesterday. Attorney General Eric Holder on Tuesday told a reporter with the conservative news website The Daily Caller that the news organization was ginning up calls for him to resign over ATF’s botched Operation Fast and Furious. The reporter approached Holder after an event at the White House on the federal government’s efforts to combat counterfeit goods. That was TPM, by the way, so naturally they use the “botched” descriptor – it was all one big oopsie! Ryan J. Reilly is also careful to note at the end of his piece that ‘problems with “gun walking” in ATF’s Phoenix office predate the Obama administration.’ Of course. It was Bush’s fault. Except the operation in 2006 was much smaller (and was ended as soon as guns were lost), worked with the Mexican Government, and the ATF actually made an effort to track the guns. Key differences that don’t ever seem to get mentioned by the equivocators. Holder himself knew better than to equivocate the two operations in his own testimony on Capitol Hill. The reporter asked him for a response to the growing chorus of federal legislators demanding his resignation. Holder then walked offstage without answering TheDC’s request for comment about calls for his resignation. Dave Workman, Gun Rights Examiner: Does Grassley’s latest barrage signal bad moon rising for Holder? Iowa Sen. Charles Grassley’s two new blistering commentaries on Operation Fast and Furious and Attorney General Eric Holder’s curious lack of knowledge about that operation’s direct link to the slaying of Border Patrol Agent Brian Terry last year may signal what awaits Holder next week when he is scheduled to appear before the House Judiciary Committee. Grassley threw a left jab at Holder Monday and followed it up today with a right hook that – if this were a boxing match – might have left the embattled attorney general on the mat. All of this is fascinating Pacific Northwest gun owners, who have been following this story for months here and here, and on other gun rights forums as well. Back in 2006, Obama just couldn’t find enough good things to say about his beloved pastor at Trinity United Church of Christ. Kudos to The Daily Caller for finding this little gem of a video, which Republicans will use in 2012 if they have any sense at all, (so don’t count on it)..
Of course he referred to Wright as “his Pastor”. He was Obama’s Pastor until the Spring of 2008 when the nation was recoiling in horror at videos revealing all the unholy and outrageous things that had come out of the man’s mouth while Obama was *definitely* not sitting in the pews. Wright was among the first of many of Obama’s radical pals who ended up under the bus. After witnessing 31/2 years of his economy crushing policies, can America really still believe that Obama’s rejection of Wright’s anti-Americanism was sincere? Youtube version of video via The Florida Cracker. Does any of this matter, given that the Obama campaign seems to be favoring a demographic that excludes working class white voters, anyway? We need to keep chipping away at that. Why would any Independents still be supporting him at this point?